Having completed our picnic hampers…. … we moved on to the cran. 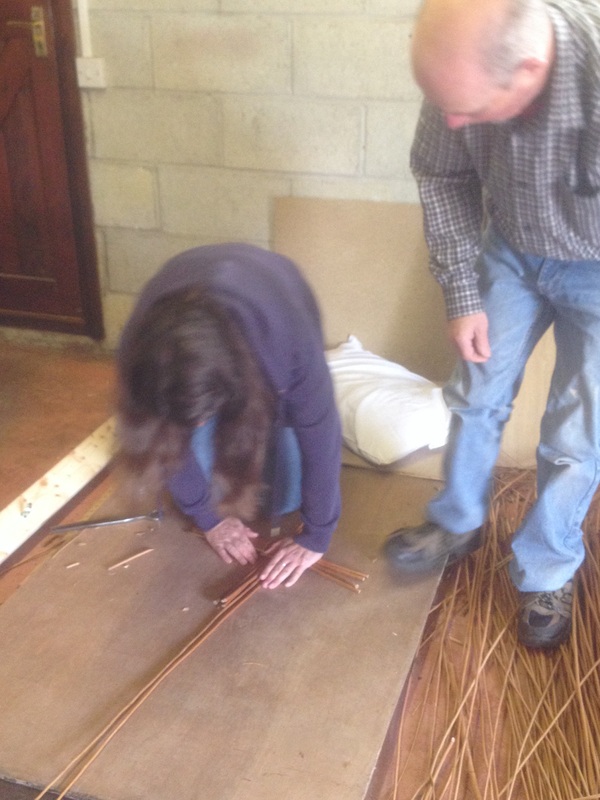 The pictures, above, show Sarah perfecting the technique known as ‘underfoot base’ where you hold the cross pieces which make the foundation of a round basket under your feet while you work with them. It’s very physical and feels like a strong thing to do. We finish our crans tomorrow. 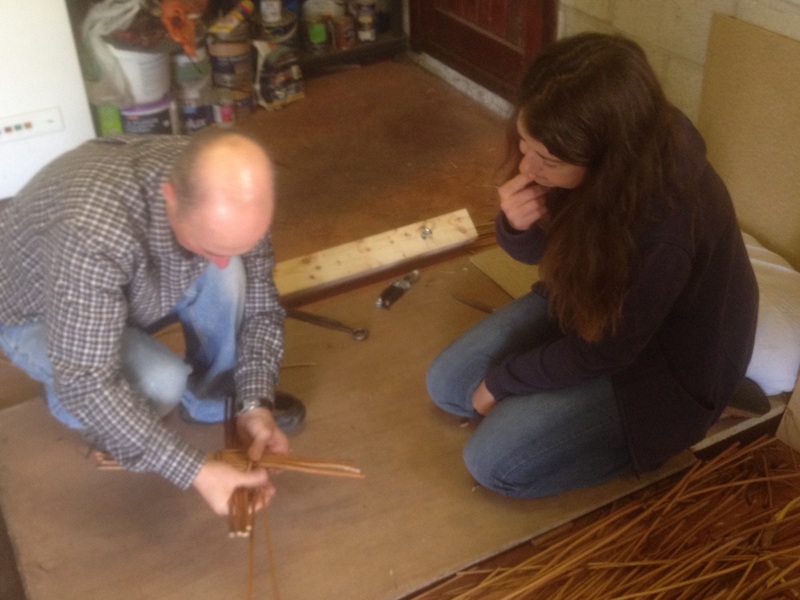 This looks so exciting, I love the basket from yesterday, you are going to be such skilled craftspeople!